When you take delivery of a car, especially if it’s had one or a few previous owners, it can really pay you to think ahead. You might not like the thought of your pride and joy breaking down, or needing some urgent repairs - let alone having to be without it while it’s undergoing more routine attention, such as servicing - but it’s an inescapable fact that cars can be fiendishly complex, with repairs and maintenance best carried out by someone who really knows what they’re doing. So deciding where you’re going to have all the jobs doing which will keep it running at its best before you actually need them can save you valuable time, compared with having to make the choice when an emergency strikes. That might seem an obvious statement, but if you’re new to this whole business, how do you find a repairer who you know will do a good job and not rip you off in the process? Sorry to say this, but it isn’t really that straightforward. Even in these days when people are keen to share their experiences of buying all kinds of services with others via the internet, there isn’t a single place you can go to and get a foolproof list of garages which will be guaranteed to do a good job. That said, there are websites which base recommendations on opinions provided by customers who have used the garages in question - but here again, these are administered by trade groups which represent the outlets listed, so can’t be considered truly impartial.It’s also possible that the people in charge of the garages themselves have persuaded their families and as many of their friends as possible to ‘put in a good word’, when they might not have ever even used that garage! So by all means use reviews to get an overview of the general opinion about where to take your car for its MoT or repairs - but be prepared to take their advice with a pinch of salt, especially if there seems to be lots of reviews saying roughly the same thing, or which are lacking in specific detail about the work which was supposed to have been done. If you want to get some idea about what people think of garages in your local area, these days you’ve got all the power of social media at your fingertips - and you’re sure to find no shortage of people with an opinion on who they prefer to use for their car repairs and routine servicing. You need to guard against the possibility that you’ll find people who have an axe to grind. They might have experienced bad service or a dodgy repair in the past, and so will tell anyone who cares to listen to steer well clear of a particular garage, even when there might be good underlying reasons why that person didn’t get complete satisfaction. It’s always worth bearing in mind that, while people are far more inclined to want to tell all about their bad experiences, there are nearly always two sides to every story. So When You’ve Found A Garage You Can Trust How Can You Expect To Benefit? 1. You should be able to get a clear and easy-to-understand explanation of what work will be done beforehand, and of what’s actually been done afterwards.It’s always difficult if your knowledge of the workings of a car is minimal, but a good mechanic and garage should take account of this, and be able to explain in plain language what problems they found, and what they’ve done to put them right. 2. You’ll get a reminder in plenty of time before any routine servicing or your MoT is due. Having to take your car to a garage for any work can play havoc with your routine. So a garage which knows its stuff should appreciate this, and give you sufficient notice of when it can do a job, then offer you an alternative time slot if its first option isn’t convenient. When it comes to the MoT, the test itself is pretty quick, taking about half an hour. But if any faults are found, a really good garage should have a firm idea of the timescale in which it can fix the problems and be upfront with you about this. And if any job is outside its capabilities, it should be honest about this too. 3. You can talk to someone directly who will be able to answer any questions - or at least don’t get passed from pillar to post. Yes, it can be inconvenient for someone to have to crawl from under a car to deal with questions from a customer - but it’s also part and parcel of a job where there can be huge knowledge gaps between the customer and the person doing the work. A professionally-run garage will realise that its customers will want to know what’s happening while their cars are away from them - and it will make sure that if the person doing the job can’t come to the phone themselves, someone else will be able to give them an authoritative update on the progress of a job. 4. That person will know the limits of their abilities. 5. The garage should be able to be honest about the cost of the work they’re going to do. One of the main bases of a trustworthy garage is that it will have a reasonably transparent pricing policy. 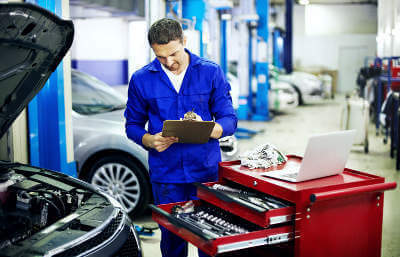 True, a mechanic might find all manner of unexpected problems once they start investigating under the bonnet - but you, as the customer, shouldn’t be confronted with any nasty surprises. This comes down to how well a garage handles point 3 above. However, even before things get to this stage, if the work being done is routine, any reputable garage should be able to answer honestly the basic question: “How much is this work likely to cost?” And in the best cases, you shouldn’t even have to ask. 6. It won’t mind if you need to take the vehicle back for minor work or adjustments soon afterwards - or should even encourage you to do so. It’s the same story with anything mechanical - some parts don’t work best immediately after being fitted, but require a little ‘bedding in’ before they’re working at their most efficient. If this is the case, many garages will tell you, and even invite you to return the vehicle so they can re-check the parts concerned, at a time which suits you. If they consider this ‘all part of the service’, then you can be pretty sure that they know what they’re doing, and at least care about whether they get your business in the future. It’s easy - and might even be tempting - to play ‘hard to get’ with garages over maintaining and repairing your car. But a truly successful garage can boast long lists of faithful and happy customers, based on mutual trust and open and honest dialogue. While those which take short-cuts or try to bamboozle you might be able to make a fast buck - but they won’t take many people in - and certainly won’t get the testimonials needed to truly get the most out of being featured on MyCarNeedsA.com! Once you’ve accepted a quote from one of our member garages, and had your job completed, you’ll receive an email inviting you to leave your feedback. You can do this directly on MyCarNeedsA.com, but also on reviews site Trustpilot. And the comments you leave on our site also help us compile our own listings and rank garages according to the quality of the service their customers receive. So by letting us have your views, you’re helping the garage spread the word about itself, and give credit where it’s due for a job well done. So please tell us what you think when you’ve used our service - your opinions are vital to help us improve the service we offer all our customers. We welcome your feedback - and make it easy for you to give it for the benefit of other users of this site. That’s because all this opinion is what makes MyCarNeedsA.com trusted by thousands of users. So if you experience outstanding service from one of our supporting garages - be sure to tell everyone about it! And be sure to tell us about it too so we may shout long and proud about our superb garage members on Twitter @MyCarNeedsA_ and on Facebook.